A beautiful video of a stunning ocean front, luxury property for vacation rental in Hacienda Pinilla, Guanacaste, Costa Rica. A private resort within a resort! 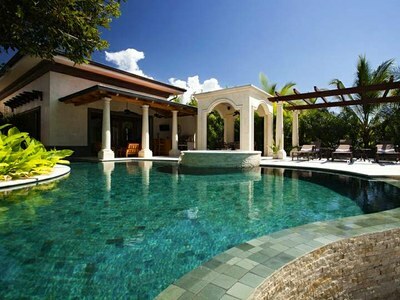 Casa Serena is a luxurious Beachfront Vacation Home in the prestigious Hacienda Pinilla Golf Community in Costa Rica. This amazing villa has 4 bedrooms, 5.5 baths, private gym, sauna and spa, outdoor kitchen with 6 burner BBQ, ocean front infinity pool and jacuzzi, personal concierge and so much more! Call to check pricing and availability!